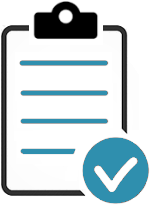 Written by quality management experts, proven to work, ISO checklists are available to buy individually or as part of a complete ISO Template. The Occupational Health and Safety Assessment Series ISO 18001:2007 audit checklist will help ensure your audits address the necessary requirements. It stands as a reference point before, during and after the audit process. 17 pages, 60 Audit questions. 20 pages, 64 Audit questions. Provides reference to objective evidence. This audit checklist comprises tables of the certifiable (‘shall’) requirements, from Section 4.0 to Section 10.0 of ISO 9001:2015, each required is phrased as a question. This audit checklist may be used for element compliance audits and for process audits. 305 Audit Questions, 78 pages. This gap analysis highlights the new requirements contained in ISO 9001:2015. It is essential for transitioning from ISO 9001:2008 to ISO 9001:2015. The audit checklist stands as a reference point before, during and after the internal audit process. 186 Audit Questions, 41 pages. This audit checklist comprises tables of the certifiable (‘shall’) requirements, from Section 4.0 to Section 10.0 of ISO 45001:2018, each required is phrased as a question. This audit checklist may be used for element compliance audits and for process audits. 264 Audit Questions, 48 pages. The checklist ensures each audit concisely compares the requirements of ISO 9001:2015 and ISO 14001:2015, and your EQMS against actual business practice. 386 Audit Questions, 68 pages. The checklist ensures each audit concisely compares the requirements of ISO 9001:2015, ISO 14001:2015 and OH&S 45001:2018, and your EHQMS against actual business practice.